Chien-Wen Cheng, born in Taiwan in 1972, received his Master Degree in Music Composition and Theory from the Natioanl Chau-Tung University in 2001, studying music composition with Dr. Tsung-Hsien Yang. Chien-Wen Cheng also received his doctorate degree in August 2007 in Music Composition at the University of North Texas in Denton. He has won numerous awards for his acoustic music including: "the 2007 Voices of Changes, Russell Horn Young Composers' Competition"; "the 2006 Fine Arts Creation Award" administered by Ministry of Education in Taiwan, R.O.C. ; “the 3rd Percussion Music Composing Competition” administered by Taipei Percussion and Asian Composers League of R.O.C; the “2004 Taiwanese Young Composers’ Masterpieces” call-for-scores competition sponsored by Chang-Huei Shiu Cultural and Fine Arts Foundation in Taiwan; "the 2003 Fine Arts Creation Award" administered by Ministry of Education in Taiwan, R.O.C. ; the 2002 orchestral call-for-scores competition in “Tune in to Taiwan – Taiwan Composers Series” sponsored by Asian Composers League of R.O.C. and National Chiang Kai Shek Cultural Center; the 2000 Hakka Vocal Music Composition Contest held by Cultural Bureau of Hsinchu Council in Taiwan. His electro-acoustic pieces have also been recognized through performances at music festivals and conferences including: 2006 Bourges Synthese Festival in Fracne, 2005, 2006 and 2007 SEAMUS (Society for Electro-Acoustic Music in the United States) National Conference; the International Computer Music Conference (ICMC) 2005 in Barcelona; the 2nd annual Bellingham Electronic Arts Festival in Washington; the 2005 and 2006 Workshop on Computer Music and Audio Technology in Taipei; the 8th and 10th Annual Santa Fe International Festival of Electroacoustic Music; 2006 Spark Festival in Minnesota; the 2004 and 2006 “Primavera en La Habana” International Electro-acoustic Music Festival in Cuba; the Most Significant Bytes 2004 II Multimedia Concert in Ohio; the LaTex Electronic Festival 2004 and 2005 in Texas. His tape piece under the sea also won the first prize in 2005 National On-line Arts Creativity Competition in Taiwan. Currently, he is exploring intermedia and real-time interactive music composition (with Max/MSP) at the University of North Texas where he pursues his doctoral degree, having studied primarily with Dr. Andrew May, Dr. Cindy McTee, Professor Phil Winsor, and Dr. Joseph Rovan. 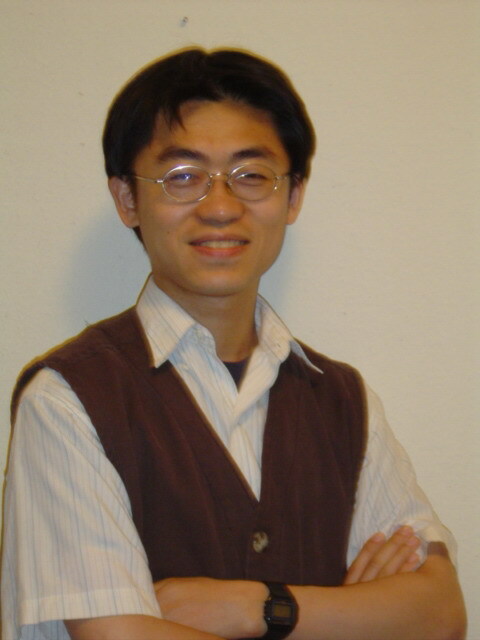 The latest information on Chien-Wen Cheng’s compositions and a detailed biography are available on his personal website: http://web.thu.edu.tw/~cheng.